Have you, like us, been watching the Channel 5 series, ‘Jo Brand’s Cats and Kittens’? The series started on Tuesday 14th November, and was on every Tuesday at 8pm on Channel 5, with the final episode shown over Christmas. 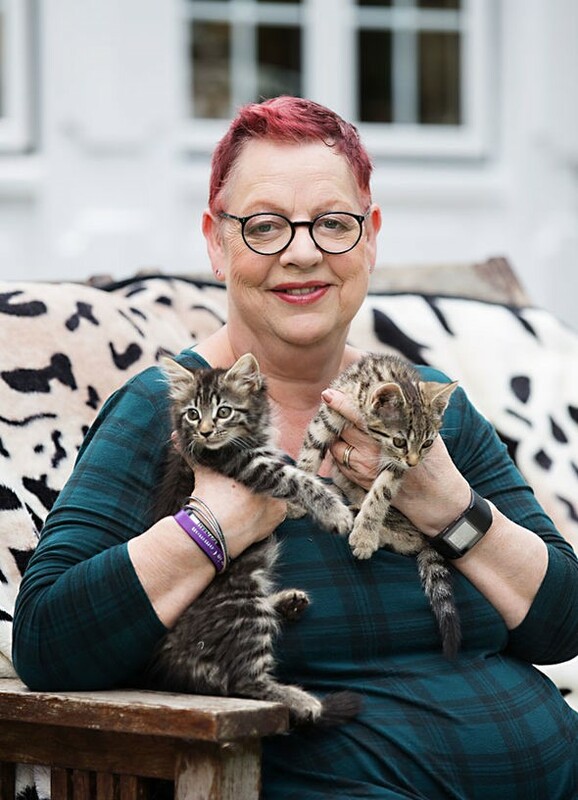 In it, Jo Brand follows the RSCPA on their mission to rescue, rehabilitate and re-home cats and kittens, and to save the nation’s felines from harm, while meeting with vets and animal centre patriarchs, such as veterinary nurse Eden, who plays mum to a tiny kitten named Pumpkin (episode 4) that had been found all alone in a member of the public’s back garden. An animal welfare officers called Matt that we were introduced to in the very first episode rescued a cat named Lola that had been stuck up a chimney for 4 days and then, in episode 2, met a young male cat that had lost its tail to some incident. Other animal welfare inspectors that are a part of the team too include, Anthony, who met a loveable tomcat having issues with his teeth (episode 2) and rescued a cat that had given birth to kittens underneath a disused cabin (episode 3), Keira, who in episode 5 followed up on a pregnant cat living on a waste site in South Yorkshire, and Herchy, who responded to a call about a tiny kitten suspected of having the kitty-life threatening illness, cat flu! Episode 3 also introduced us to a lady who runs a cat sanctuary from her own home and in the Christmas episode, which aired on 19 December and was our personal favourite episode of the series, we met Maureen Austin, who lives near Woking, and has fostered 160 cats for the RSPCA. In that Christmas episode, Maureen was thrilled to be given a chance to reunite with just a few of the cats she’d helped find new loving homes. Two of the furry friends Maureen caught up with again were Tomkins and Princess, who she’d fostered from February to May 2016 and now live with their new mummy, Carol Roche. Maureen said fostering can sometimes be hard work but she is incredibly lucky to do what she loves. : “…so many beautiful cats come through my door. I keep a book about each one with a photograph and a little write-up on them so I can look back and remember them. There is a dedicated room in Maureen’s home for fostered cats with everything a cat could need from comfy beds to scratching posts, a TV and stereo playing ‘cat music’ or purring noises to her fostered felines. She recalls a ginger litter she nicknamed the “five alive gang” who were all found in a bin by a refuse collector who luckily heard their meows in time to rescue them. In the final episode, Jo met stray cat Pucino and abandoned mother cats Suzie and Minnie, while investigating a cat colony in Liverpool that had gotten out of control. Jo also helped five teeny tiny wee kittens that had been abandoned in a box in Birmingham. The Brand family – Jo, her husband Bernie and their two teenage daughters – all felt the series was ideal as Jo is herself a cat lover that once owned five cats, but now have just two – Louis, who is 21, and Dotty. Across the seven-part series, we’ve see what it takes to treat ill and injured cats at one of the country’s busiest animal hospitals, and learned more about what makes cats one of the most impressive and loved animals in the world. The only problem Jo admitted to during the series’ filming was resisting the desire to take one of the cats home with her. We’re right there with you Jo!